Commuting To Work Safely By Vehicle – Getting to work is important, especially when commuting by your own vehicle. 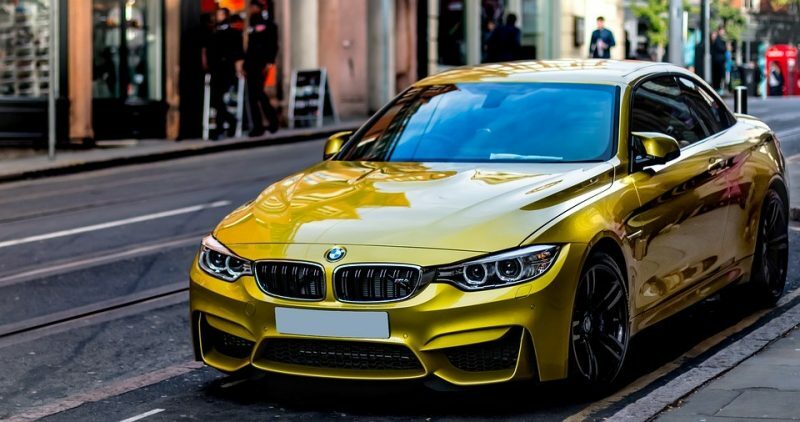 You need to make sure that your vehicle is safe to drive. Here are some commuting tips when using your vehicle to get to work. 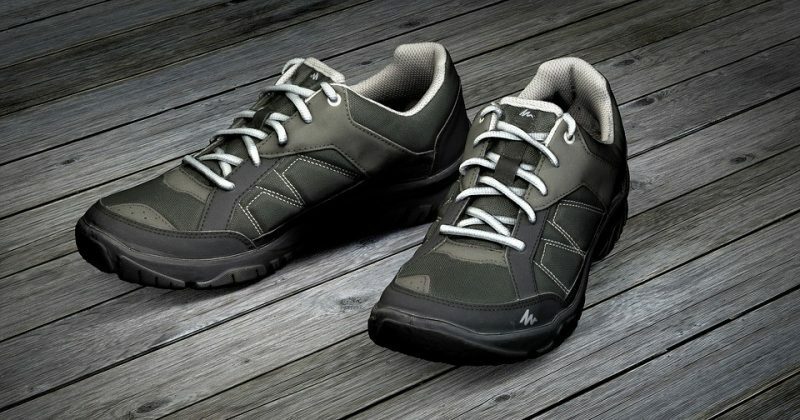 Make sure you wear comfortable shoes as it could seriously affect your ability to control your car. For example, high heels which could catch onto the floor mats when driving. Wearing trainers will help you have a comfortable journey and you can always put your smart shoes on when you get to work. 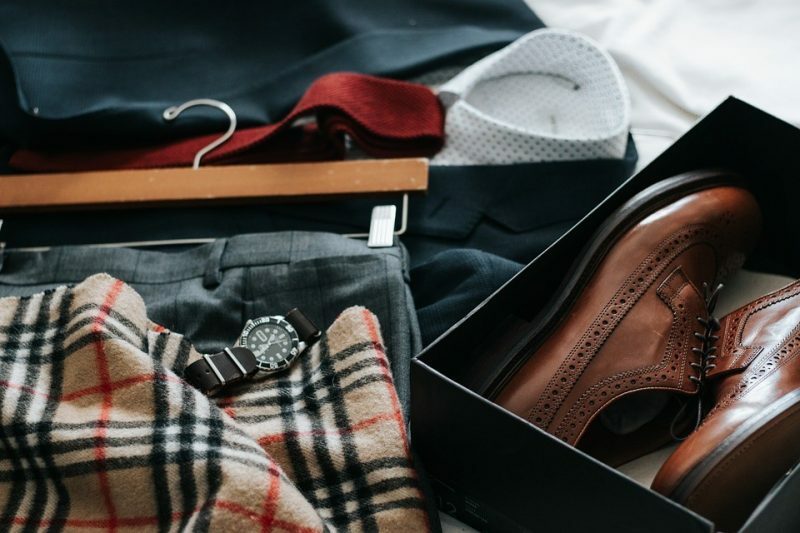 You also want to avoid blisters before you start work. That could be a painful day! A lot of accidents these days are caused by road rage. Try not to get caught up in aggressive driving or road rage because this could result in a serious crash. Avoid becoming a target for an aggressive driver. We all know one thing that can seriously distract you from driving and that’s your phone. You must keep your eyes on the road at all times or this could also result in a crash or even worse. If you get caught fiddling with your phone you will be given a fine. What is the penalty for using a mobile phone when driving? 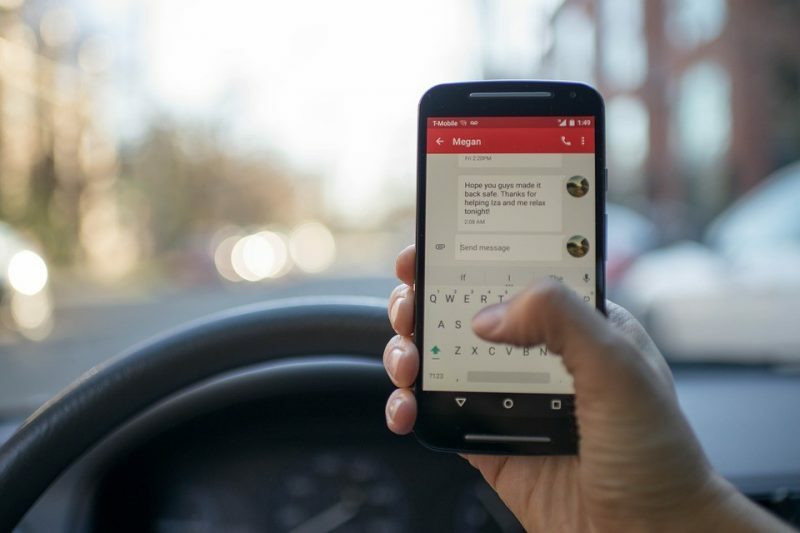 If you are caught using a hand-held mobile phone or similar device while driving or riding, you’ll get an automatic fixed penalty notice – three penalty points and a fine of £60. If your case goes to court, you may face disqualification on top of a maximum fine of £1,000. We all know that the sun can seriously affect our driving especially when its glaring in your face on a Monday morning. Keep sunglasses in your car at all times to help protect and relax your eyes. Sometimes keeping your headlights on is a good idea so that other drivers can see you well. Make sure your front window is clean too. When sun reflects off it then you will find it hard to see, due to all the dirty smears on your front window. There is nothing worse than being late to work. This could put you under a lot of stress on the road which can reduce your concentration. Also, it can result in your rushing which means you will be speeding, breaking the law. 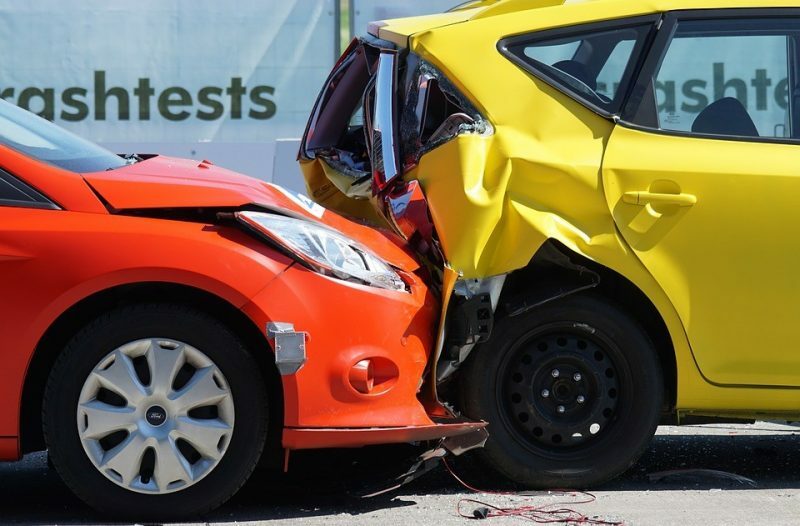 Speeding plays a role in approximately one-third of traffic deaths each year. So make sure you leave at least 15 minutes early so you can have a more relaxed journey to work. 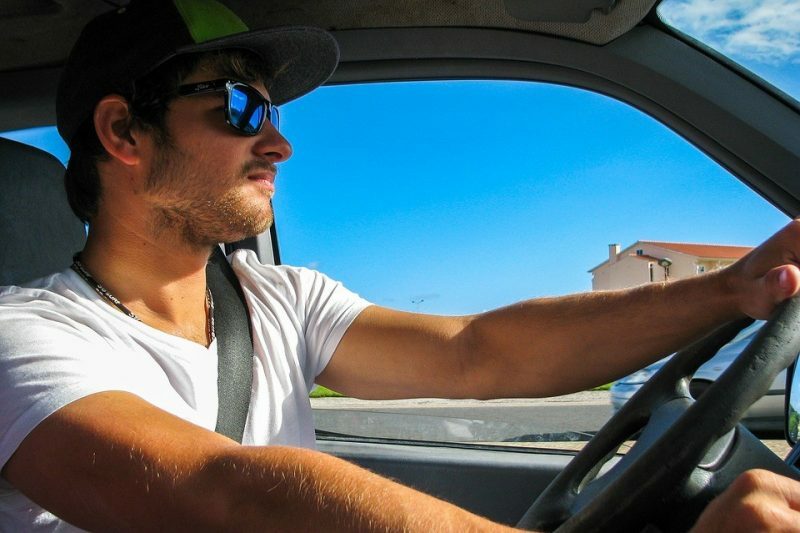 What are the car insurance rules about driving to work? 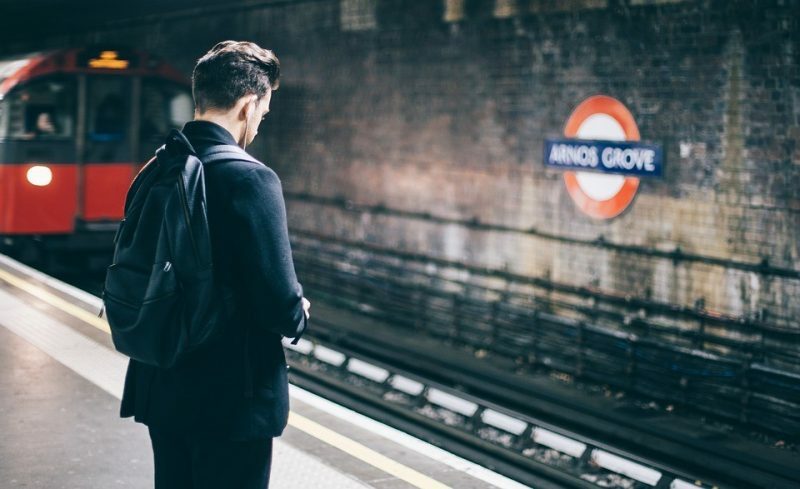 commuting safety tips – Feeling safe at work is one of the most important things when working especially when it comes to commuting to work. 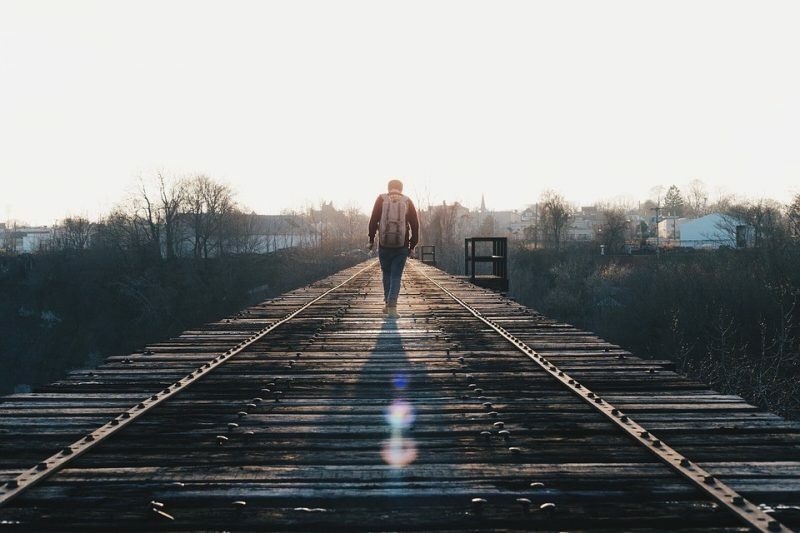 MyTeamSafe wants to help spread awareness to Lone workers commuting to work. Try to cross at traffic lights or zebra crossings. Slow and steady wins the race. Accidents are more likely to happen if you rush around, especially when not looking carefully at a crossing. Night working? – Make sure that you are visible to road users by wearing light colored or fluorescent clothing in the dark. Be careful when walking between queuing vehicles at lights or in slowing moving traffic, motorbikes and cyclist filter through traffic and may not see you easily. Watch out for people indicating late or leaving their indicator on. Always make sure you leave plenty of room when crossing in front of a vehicle that’s indicating you never know they may have forgotten to turn it off. A rucksack is more comfortable on a walk rather than some bag slumped on your shoulder or carrying a bag all the way to work. Try to keep your workload nice and light by carrying the things you really need. Wear your rucksack nice and high this helps support the back and good posture. Use both of the straps on your rucksack to keep good body balance. Check the weather, no one likes to walk in heavy rain or hail. You don’t want to leave the door without a coat and getting your day ruined by entering work like a drowned rat. Explore! 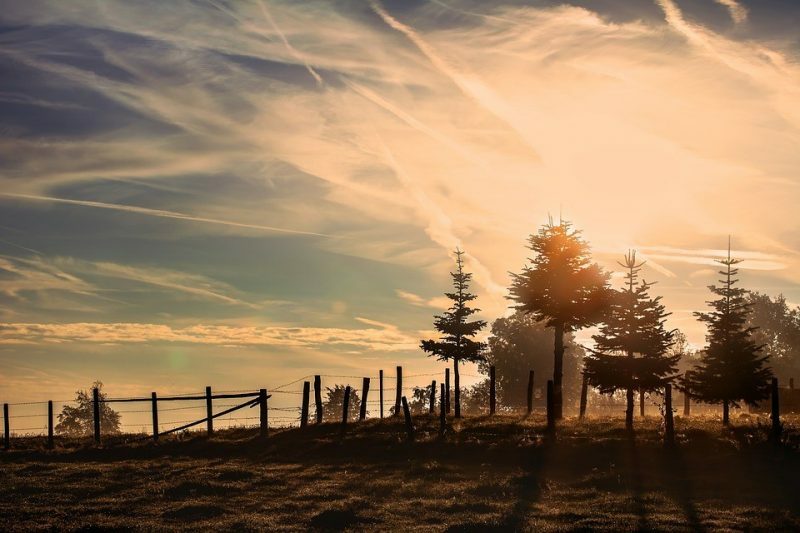 Try new routes back home and just enjoy your walk after a long day as this helps to relieve stress. Try to avoid alleyways especially at night. As we all know some people don’t reach the other side without being mugged. Find the best route, try timing your travel to find out which route gets you to work quicker and which one you enjoy the most! 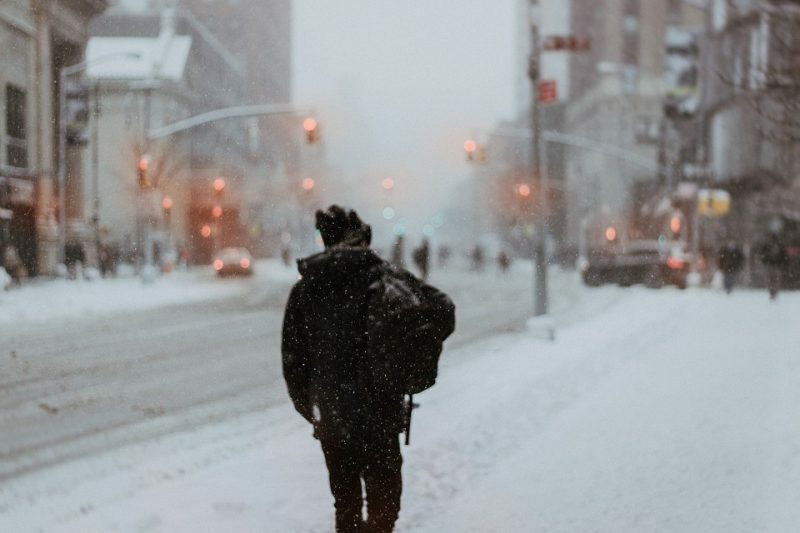 Try to avoid heels and sandals when walking to work this can begin to make your feet ache, walking to work in great fitted shoes or trainers with socks will give you nice support on your feet. If it’s hot then use sun cream! There is nothing worse than working when sun burnt. If its hot try wearing a hat, this will help keep the sun off your face when commuting to work. Importantly! Make sure you are visible especially if you are walking back home in the dark. Always prepare for rain, check the weather and bring a coat. 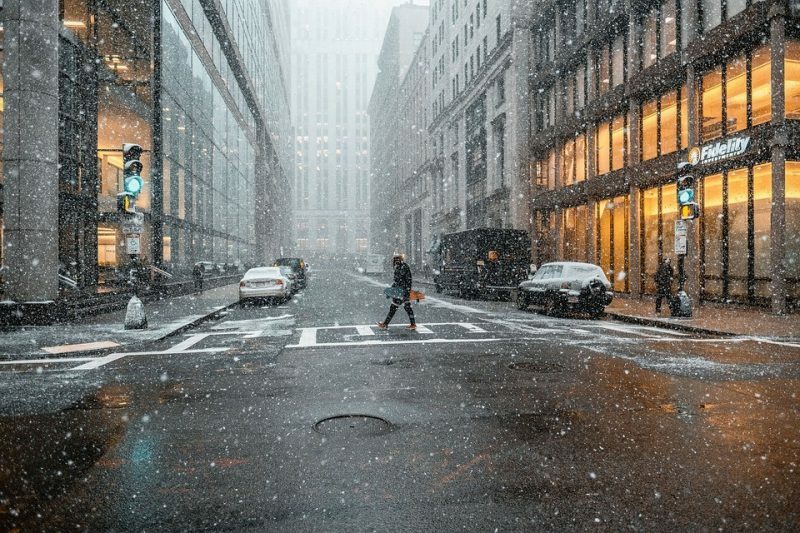 When walking in winter it’s very important to keep warm, but, what’s getting you to work? Your legs. Make sure you have got well-gripped trainers on to avoid slipping on ice. Stick to the walk paths and avoid shortcuts because they can be the most slippery places to walk. When planning your route try to plan the route that’s been gritted on pavements and footpaths. Maps of priority routes can be found on your local council website. MyTeamSafe® is a lone-working app. Making sure your lone workers and employees check in regularly, notifying you as a supervisor that they are safe. 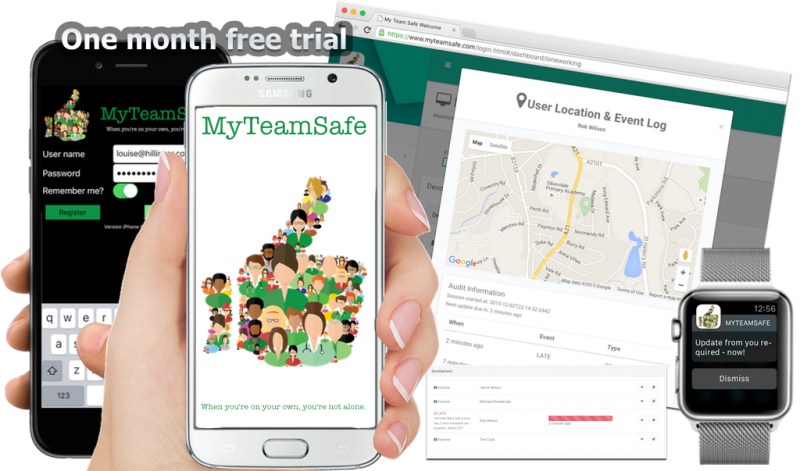 MyTeamSafe website – you can try our lone working solution free for 30 days, with text (SMS), email and push notifications. 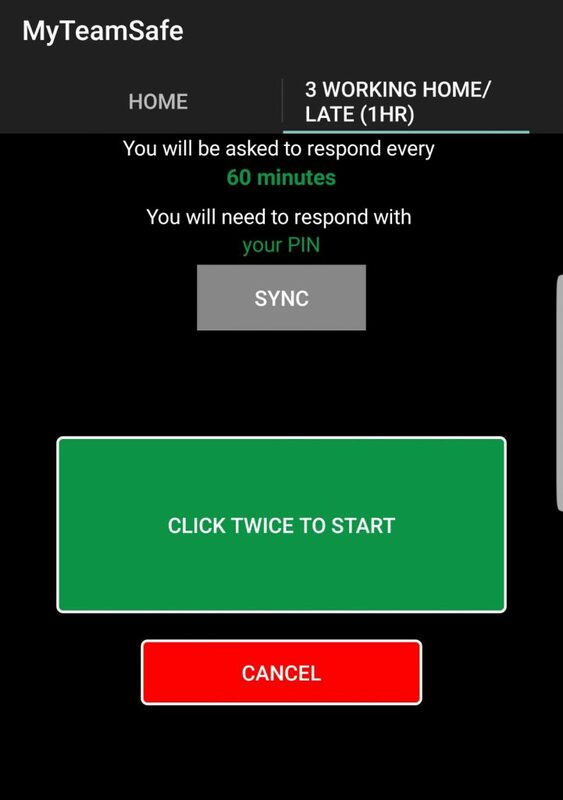 How does The MyTeamSafe Lone Working App Work? Administrators can create new users into the appropriate groups. 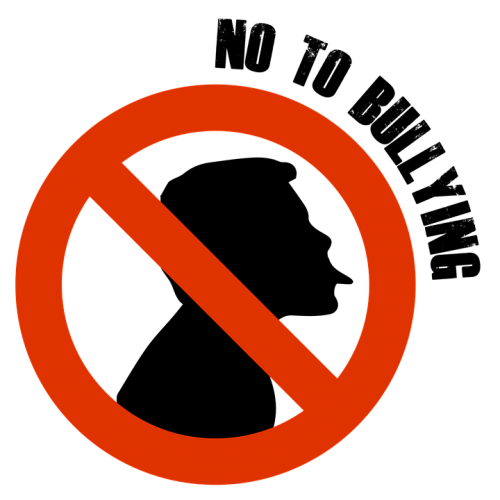 Lone working permission enables this user to start/stop lone working sessions. On-site list permission enables the user to receive a fire roster, triggered by SMS with the message ‘FIRE <pin>’. The roster arrives immediately afterwards to their primary email. 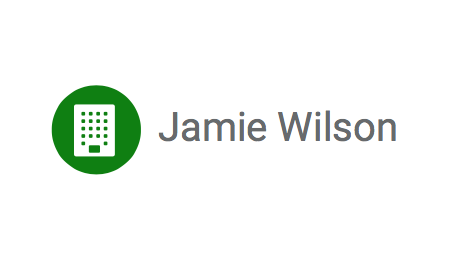 contact details are used when a lone working session is active and the user has not checked-in on time. 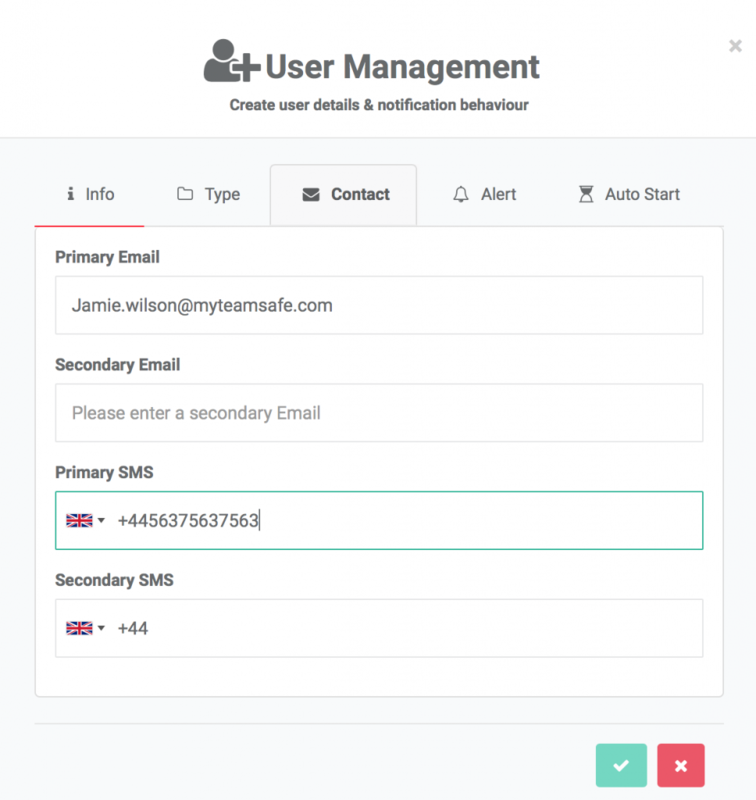 Additionally, the secondary contact details are useful for scenarios where the user might have a personal device that they can be contacted via in emergencies. 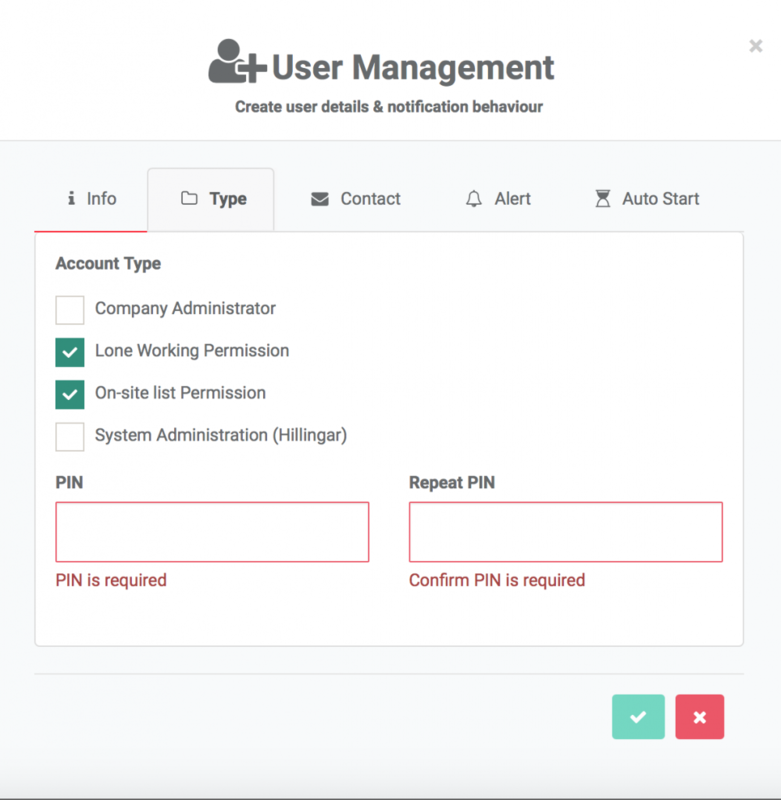 Strategies enable you to set up custom lone working rules (how often to check-in, whether GPS should be captured) and escalations (who to contact when the user is late checking-in), depending on the risk associated to the roles (jobs) in your company. 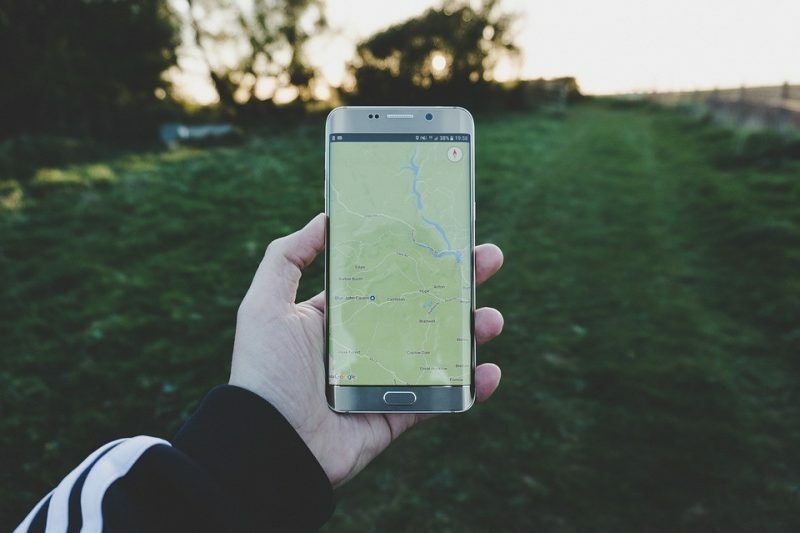 GPS accuracy – The GPS (map) feature can drain the battery, so it’s advised to not set this too frequently, to preserve the lone-workers battery. 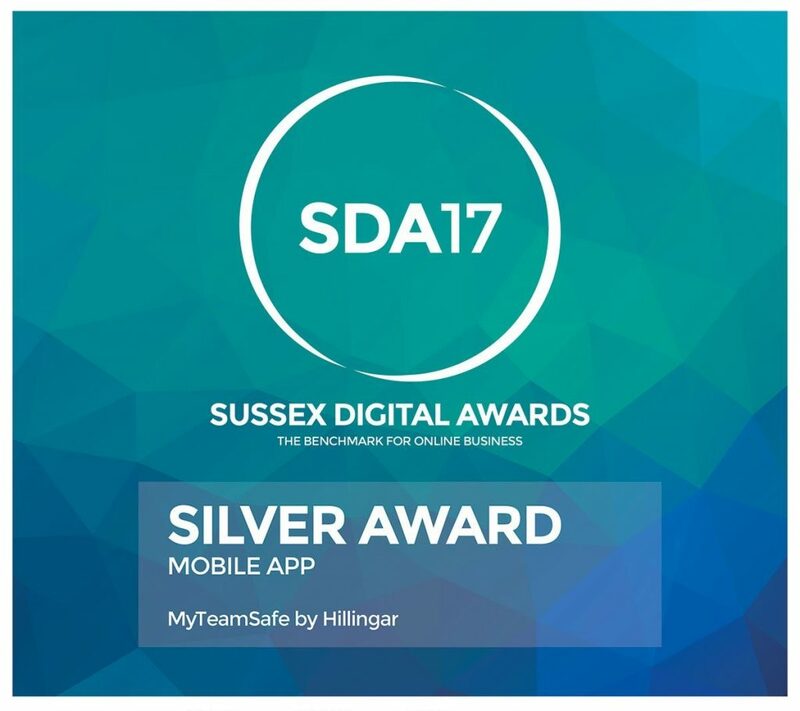 Add Button – This will add a button to the MyTeamSafe app on your mobile device. 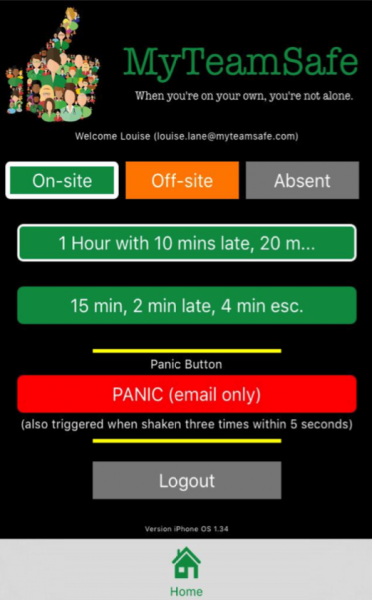 Panic Button – Once the panic function is ticked this will add a panic button to the MyTeamSafe app. 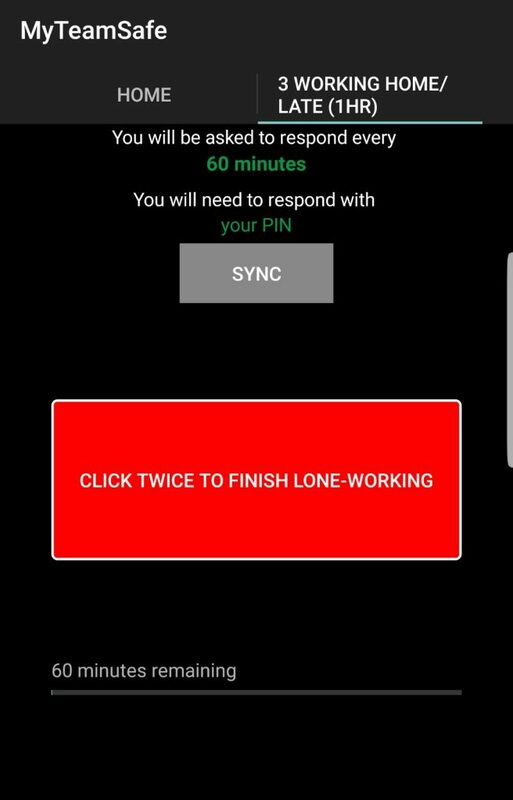 Optionally you can also turn on the ‘shake’ mode, which requires the lone- worker to shake the device three times quickly to activate the panic mode. 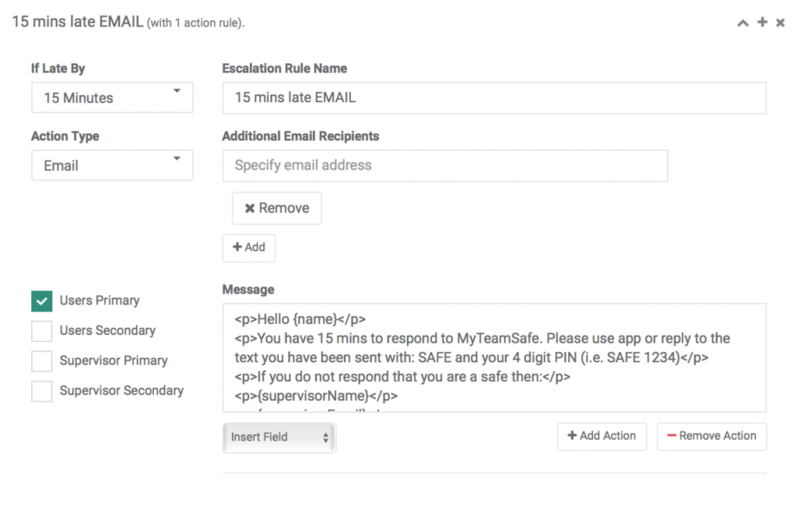 An escalation indicates what must be done when the lone worker is late checking-in, you can target messages to the lone worker or supervisor, to their mobile app (push notifications), email, or text (SMS). Each message can be fully customized via templates. 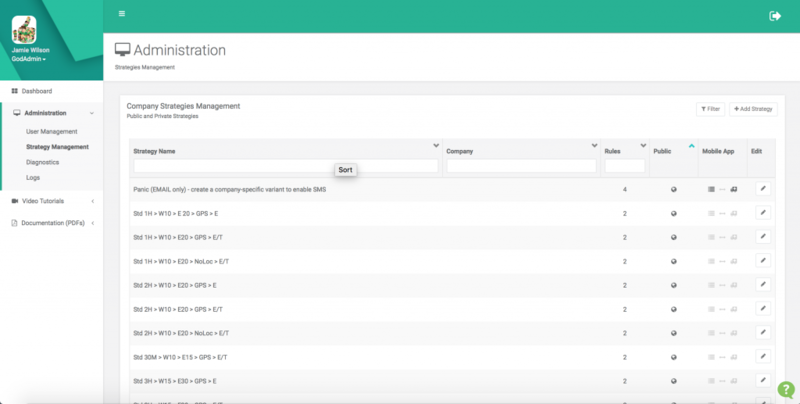 The dashboard will provide an overview of everyone in the company (grouped together within the groups you define). Staff can indicate whether they are on-site, off-site or absent. This function is completely independent to the Lone Working facility. This eye symbol allows you to view the recent GPS locations for a User for either the current active session or their last session. Included in the report is a table showing what escalations have occurred. The pencil symbol allows you to edit any User information. Once your account has been set up you will receive an email confirmation with your login credentials. Type in your Username (email address) and Password (set up by the Administrator). 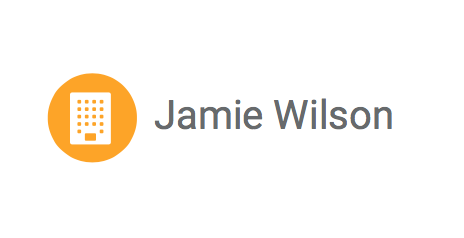 Click on the “Remember me?” button to save your details for later (keeps you logged in). You can choose your on-site status (On-site, Off-site or Absent). The button with a white border confirms your choice. All the regular Strategies available to you are shown in green. The default Strategy to use will be highlighted with a white border. The PANIC strategy should be used in cases of an emergency. Once you have chosen your Strategy it will confirm how often you will need to check-in (respond). Click the green button twice to start your lone working session. If you wish to stop a lone working session click the red button twice and enter your PIN. The time remaining (minutes) before the lone worker needs to check in, is shown at the bottom of the screen. When a check-in is required, an alarm will sound and you will be asked to confirm you are safe. 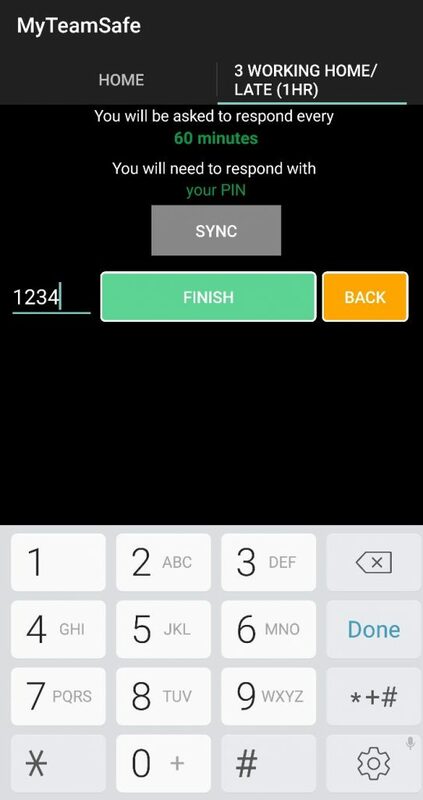 Type in the PIN and press the green button. (NOTE: this will say “I’m Okay” for confirmation check in or “Finish” when you finish the session). You will start another countdown if you have confirmed you are ok or you will go back to the home screen if you have terminated your session. A lot of people don’t follow the health and safety system, but there are many reasons why it’s in place. One reason is to prevent accidents from occurring whether they are big or small. Secondly, you could save yourself from injuries or even death. Health and safety has become stricter because of more and more deaths occurring every year. 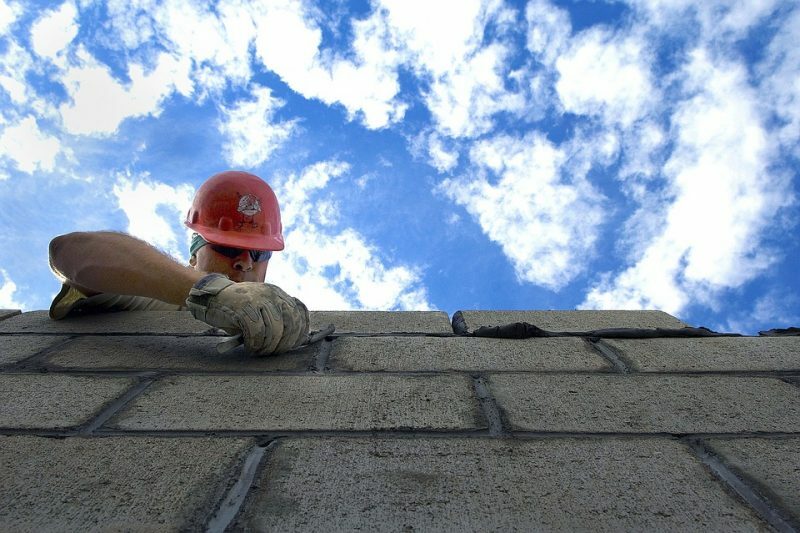 A lot of people decide to do work themselves (example brickwork) rather than hire an agency, which we all know can be pricey but these people do not necessarily have the correct skills to carry these jobs out. Many accidents happen when lone working and these people are more vulnerable to having an accident. If you use low quality and poorly designed tools and equipment, there is a huge chance of them breaking on you at some point which could cause you a lot of harm. You could even lead to health and safety hazards like trigger finger, carpal tunnel syndrome, white finger, tendonitis and more! Signs are very important. Whether you are working on the construction site or not its important to protect people from your dangerous operating machines, sparks and falling parts. This is especially needed for pedestrians that could be walking past or through the construction site. When you’re in the construction industry you must be aware of your surroundings whilst you are working, especially trip hazards and low clearance areas where you can trip and hurt your self or even worse. This can happen a lot more than you think. Always keep an ear out for forklift trucks and other machinery that could be driving around the site. You need to pay the most attention when working with scaffolding as this can be a very dangerous workplace even on the best of days. Make sure the scaffolding itself is strong and erected on a nice solid surface. Any scaffolding or planks must not be supported on uneven objects or uneven surfaces. Keep scaffolding well away from powered lines to stay on the safe side during work especially if you are lone working. Always check your tools before you use them for any split cables or any damages. Always think DO I NEED A HARD HAT? A lot of people don’t realize the underlying dangers of being an Estate Agent and put themselves at risk every single day. Being with other people can be lonely and risky! 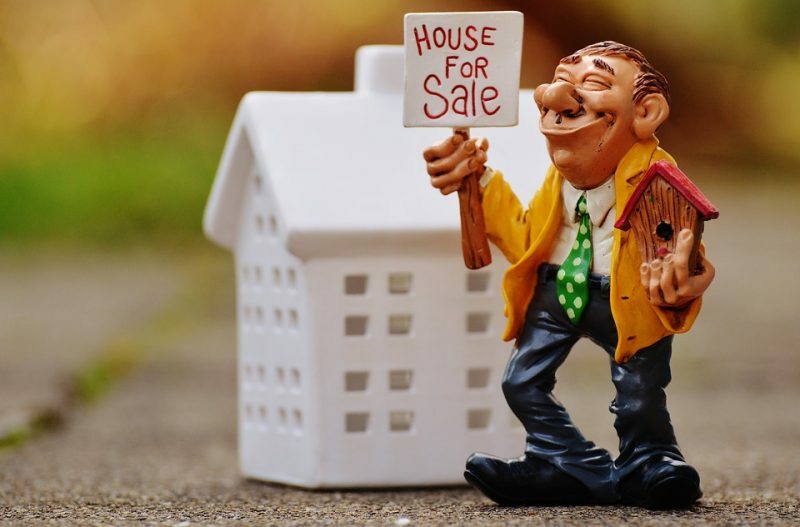 It’s not considered a dangerous job but uncontrolled situations, such as meeting new clients, holding open houses, showing people around properties alone can leave you vulnerable. Even your marketing may be jeopardising personal safety by highlighting who your staff are, what they look like and direct contact details. Everyday tasks, that may seem harmless at the time, could expose you or other staff to unnecessary risk. The industry opens its self up to some undesirable people. Estate agents are professionals but haven’t always had personal safety training. You might believe “Special” code words solves the problem…. But people are busy and not always available, what if you aren’t actually able to make a call? Even if you can make a call to someone that’s able to answer it, how do they know exactly where you are? Trust is a big thing, but can you trust a stranger in your car? Just feeling uncomfortable is bad enough but what about being robbed, attacked or even face a “client” trying to steal your car. A lot of people don’t pick up hitchhiker these days for that exact reason but people are driven to viewings all the time. So without safety training what could protect our Estate agents against such situations? 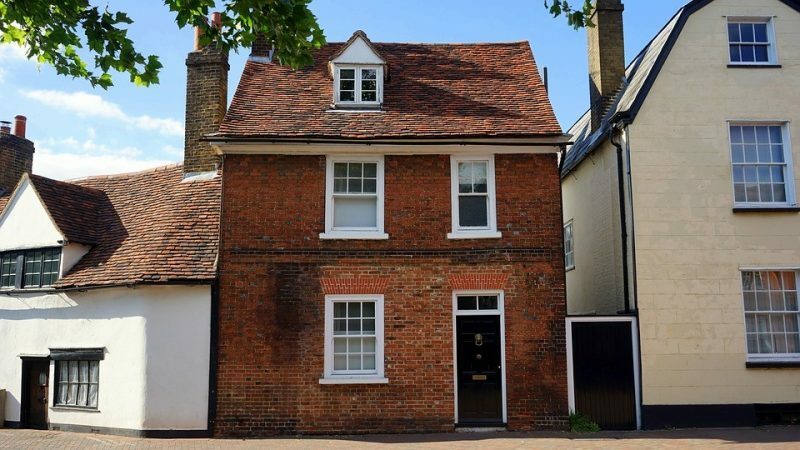 As Estate agents do so many viewings it’s easy to leave the door open when showing clients around the property or even waiting in the property for the client to eventually turn up. This is, the literally, leaving the door open for members of the public just to walk in which could put you at risk of being attacked and your client’s safety is in danger. 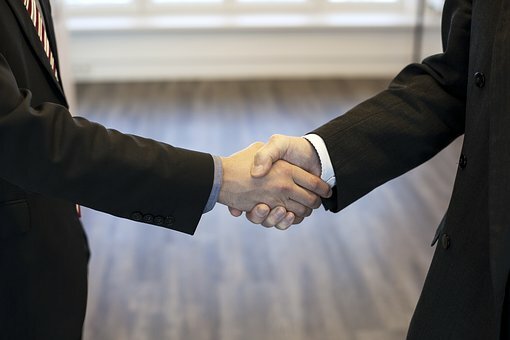 Estate agents meet “strangers” every single day, that’s their job but feeling uncomfortable, vulnerable or even in danger shouldn’t be part of the job. Just because your with someone else doesn’t mean you’re not a lone worker, in the eyes of the Law. So ensure all staff have had personal safety training and the company has a robust, and a fail-to-safe Lone Worker check-in system. Manual systems and code words can work but you have to work hard to ensure they never fail, when they really are needed. Of course simple cost-effective Lone Worker safety solutions are also available. MyTeamSafe® is helping spread awareness for anti-bullying this week. We hope that whilst your reading this you’re wearing you odd socks! Bullying can have a massive impact on peoples lives. Bullying can take place anywhere not just schools, adults can be bullied too in the workplace or even socially. Take a stand against bullying and raise awareness. MyTeamSafe wants to make sure you don’t lose out on an opportunity to see a great firework display to end your Sunday on. 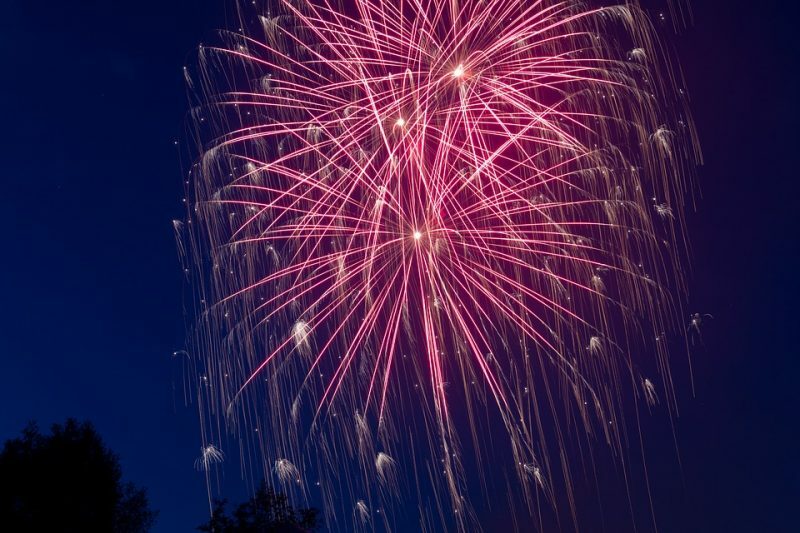 Where are the firework displays spread across the UK to celebrate Guy Fawkes night? 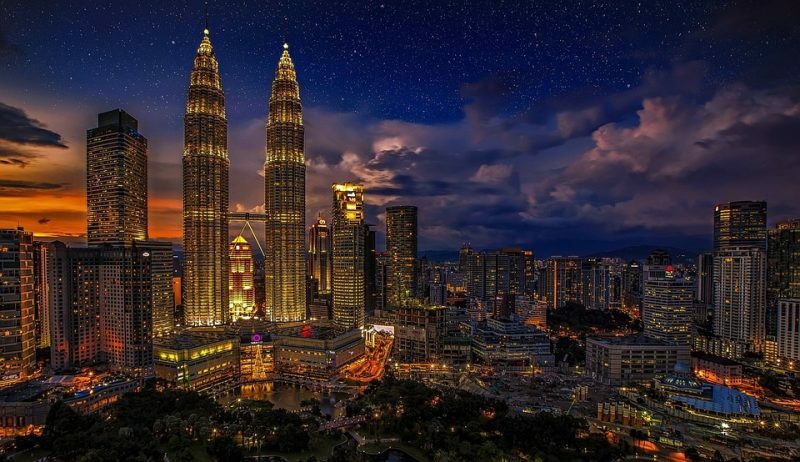 We don’t want to panic anybody about terrorism or change your option about seeing an awesome firework display but, MyTeamSafe takes health and safety very seriously. This is just for precaution and we think many people need to understand the safest way to deal with terrorism. Terrorist attacks are rare in the UK, but recent events have shown that an attack could happen anywhere and without warning. Those locations either public or private where large groups of people gather, for reasons such as entertainment, business, transportation, sporting or social occasions, have always been preferential targets for terrorists. Terrorism has evolved in recent times, with many conflicts overseas influencing terrorist acts in the UK. 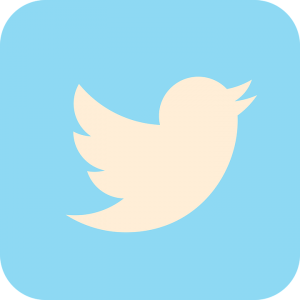 Social media in particular is being manipulated to incite, inspire and enable groups and individuals to target these crowded places. The UK Threat level from International Terrorism is ‘SEVERE’, which means that an attack is highly likely. Such an attack can come in many forms, not just a physical but it can include interference with vital information or communication systems, causing disruption and economic damage. 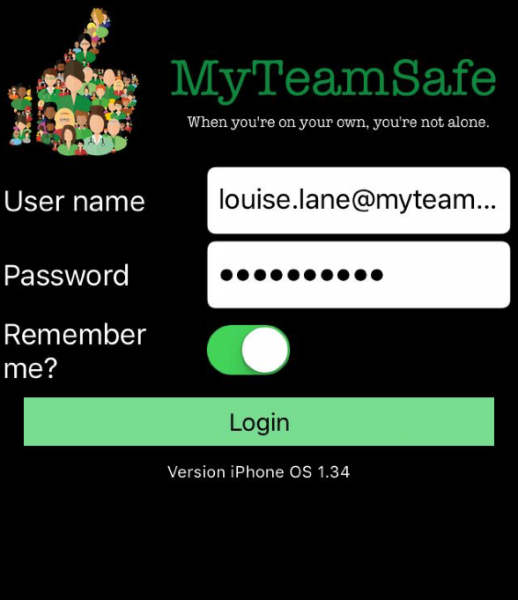 MyTeamSafe is a lone-working app. Making sure your lone workers and employees check in regularly, notifying you as a supervisor that they are safe. The Clocks Are Going Back On The 28th! Will my device automatically update to the right time? 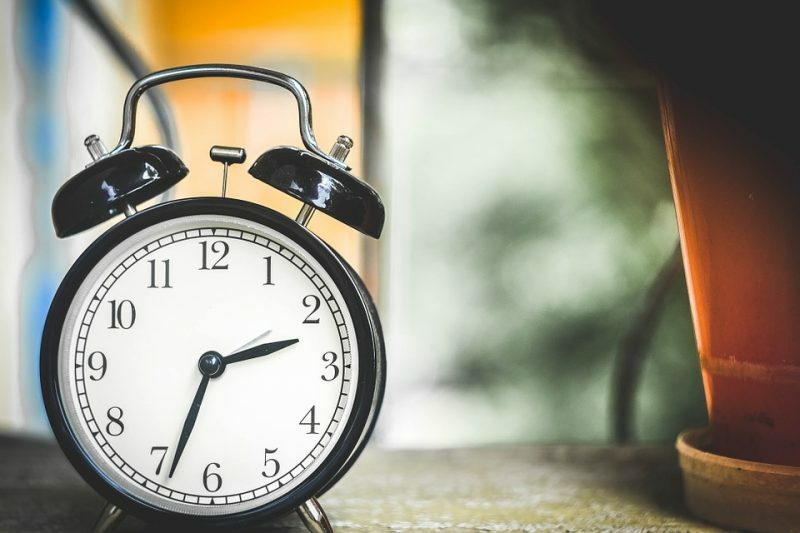 When the clocks go back one hour at (2 am October 28th) most devices connected to the internet like tablets, iPhones and other smartphones will update automatically. To be on the safe side you should still check or you will end up at work an hour early and lose your lay in! The nights are going to get darker quicker. So for those of you that work at night or even in the office, you may want to consider using MyTeamSafe to make sure your lone-workers/employees check in regularly giving you a piece of mind that they are safe at night. Even if that’s just locking up, an accident can occur at any time and your lone workers are more vulnerable at night time. You can learn even more by visiting the MyTeamSafe website – you can try our lone working solution free for 30 days, with text (SMS), email and push notifications. 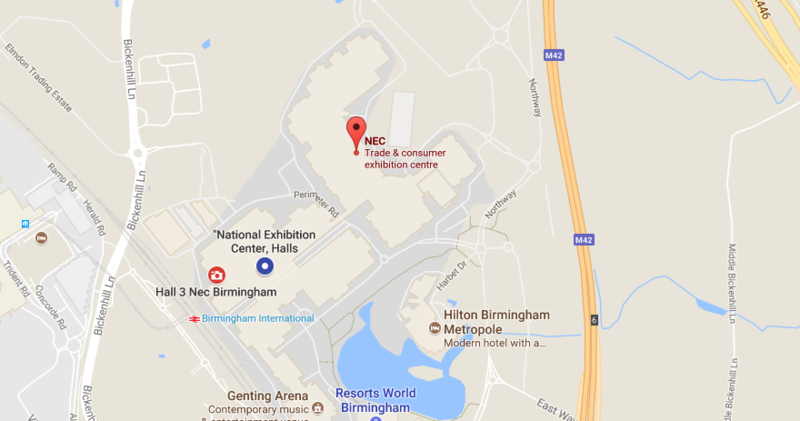 MyTeamSafe will be attending the Care and Dementia Show in Birmingham on the 10-11th October. The Care and Dementia Show is the UK’s largest and busiest care home event providing training, solutions and networking opportunities to support those connected to and responsible for the care of others . Attending the show will be an informative couple of days and a rare opportunity to source new products and services from over 250 suppliers. MyTeamSafe Will be located at stand E100. 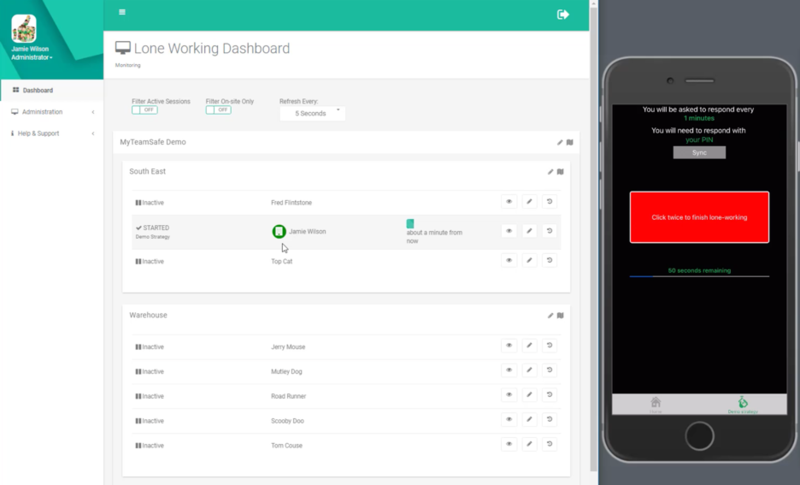 MyTeamSafe is a suite of tools for your independent workers & supervisors, with a web dashboard for management. Highly configurable, where you keep control, not costly impersonal call centres. Everything you need to protect your staff and business in one easy subscription, on average £2.50 per user per month. 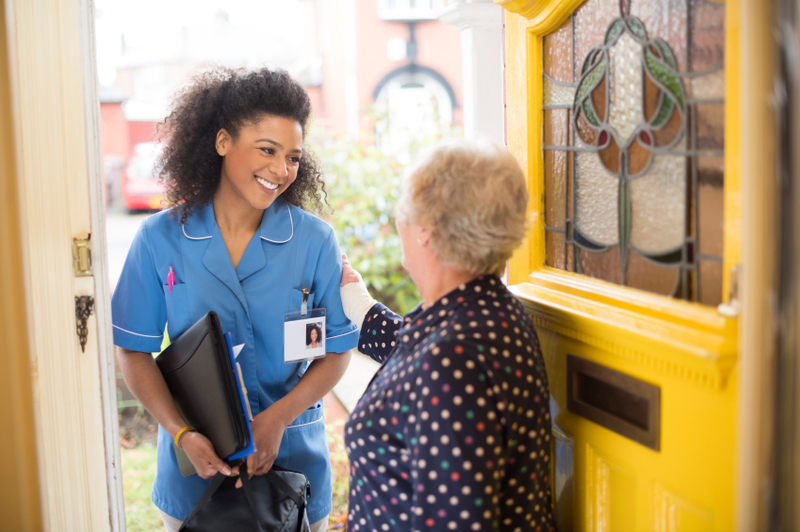 As someone in Social Care you will have experience of working on your own, even occasionally, It’s not necessarily dangerous but anything can happen and it’s the employer’s responsibility to ensure duty of care is provided to all employees. Did you know that failure to do this could result in fines of up to £20,000 fine per incident. MyTeamSafe wants to help raise awareness for national personal safety day. MyTeamSafe takes safety very seriously, especially in context to lone workers (even in an office where staff might not be in earshot of each other). Our mobile app ensures that all workers check in regularly, depending on risk this can automatically include their GPS location. If you fail in your duty of care, fines of £20,000 per incident can be expected, so why not protect your business and staff today?